This is a little, but improved smooth and more detailed, remade version of the weapon/tool from a futuristic videogame saga. 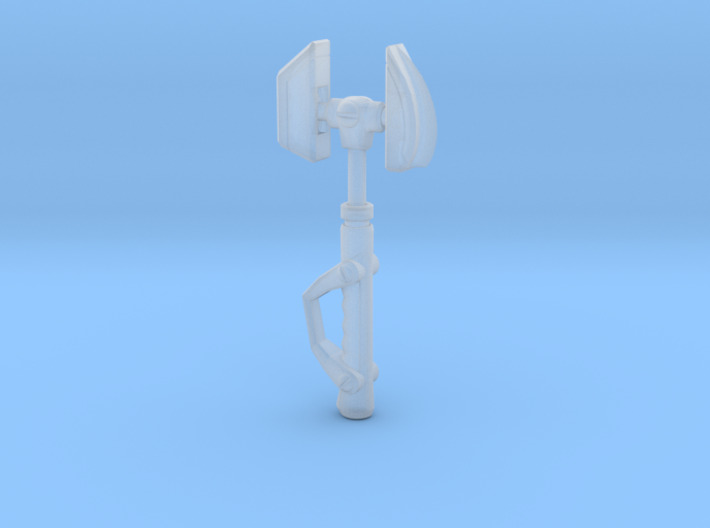 This 1:16 scaled Tool/weapon replica, It is a pendant that can be used also as tool* or as keychain, if insert a keychain ring inside the handle hole. *His resistance changes by the selected material, steel is the best.